A nice slip joint by One of the pioneers of Mosaic Damascus. 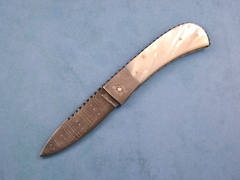 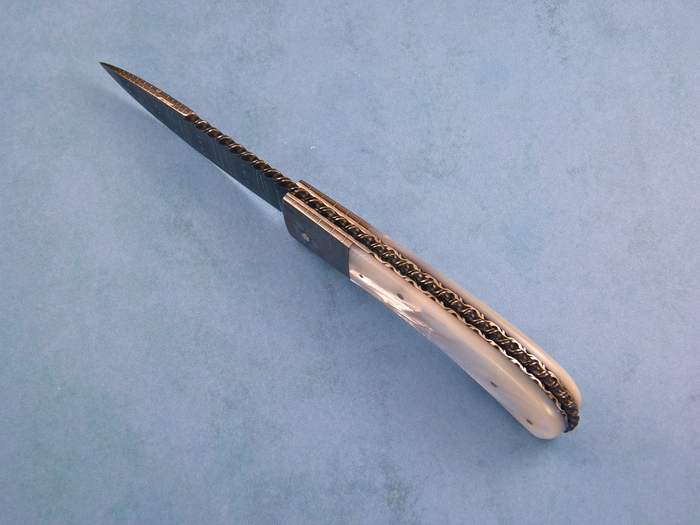 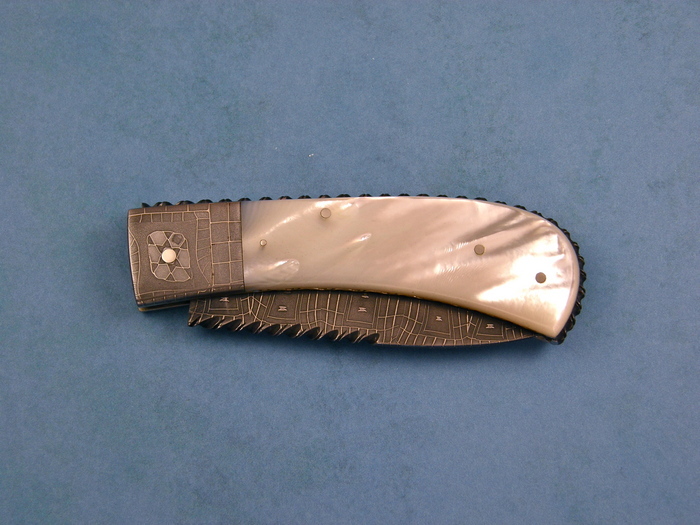 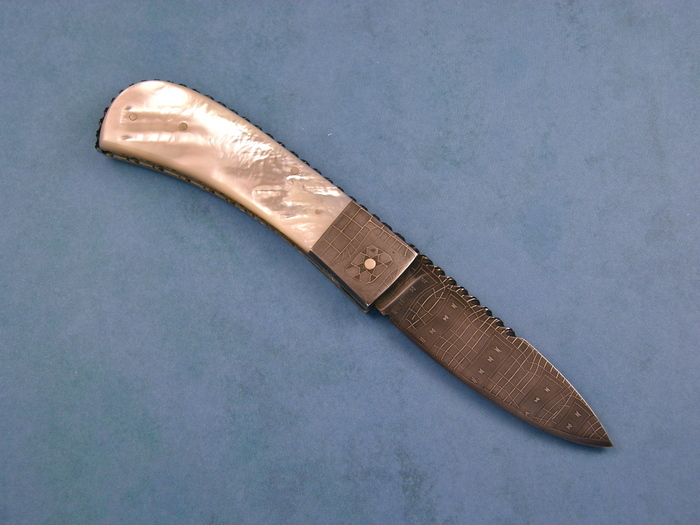 This slip Joint knife has beautiful thick Mother Of Pearl scales. It also has very nice file-work all around the spine and onto the blade.